Thomas, D. (2006) 26th June 2006 - A Day to Remember. Down Syndrome News and Update, 6(1), 19-20. Horner, V. (2006) Prom Night for Charlotte. Down Syndrome News and Update, 6(1), 8-9. Hamlyn, S. (2006) Noises. Down Syndrome News and Update, 6(1), 21-22. Hughes, J. (2006) Learning about number and maths. Down Syndrome News and Update, 6(1), 10-13. Horner, V. (2006) Job satisfaction. Down Syndrome News and Update, 6(1), 6-7. Hughes, J. (2006) Inclusive education for individuals with Down syndrome. 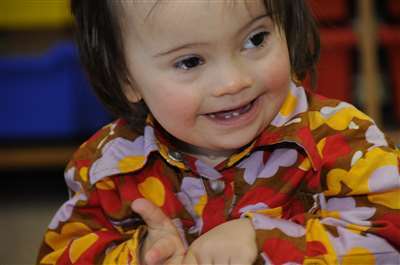 Down Syndrome News and Update, 6(1), 1-3. Bull, E. (2006) Handling the transfer to secondary school - part 2. Down Syndrome News and Update, 6(1), 4-5. Sneath, G. (2006) The Girls’ Club. Down Syndrome News and Update, 6(1), 17-18. Lander, A. (2006) Feely-bag games. Down Syndrome News and Update, 6(1), 14-15.